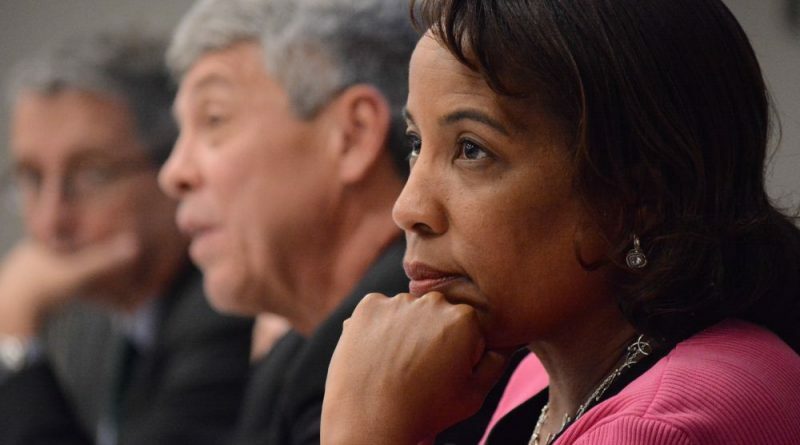 As the longest federal government shutdown in history stretches more than a month long, Loudoun County Chairwoman Phyllis J. Randall (D-At Large) has planned a second meeting on the topic. Randall announced today that on Monday evening, she will meet with faith leaders in the county government center in Leesburg. This will be Randall’s second press event around the shutdown, following a press conference with nonprofit leaders and utility company representatives Jan. 11 as the first pay period of the shutdown came and went with no paycheck for many federal workers. Loudoun has also seen roundtable events hosted by U.S. Rep. Jennifer T. Wexton (D-VA-10) and U.S. Sen. Tim Kaine (D-VA) as the shutdown stretches on. The shutdown has also put a strain on federal contractors, including some people losing their jobs altogether, and will soon begin to hit even more people in even more desperate circumstances as funding for the Supplemental Nutrition Assistance Program—SNAP, formerly known as food stamps—dries up at the end of the month. If the federal government does not reopen, about 4,134 households in Loudoun and about 8,396 Loudouners won’t receive SNAP benefits after this month, according to a county report. “Local government cannot end the shutdown, but we can do what we can with what we have to help our citizens,” Randall wrote in a press release announcing the conference. Randall’s meeting begins Monday, Jan. 28 at 7 p.m. in the county government center at 1 Harrison Street, Leesburg. Instead of meeting with preachers for photo ops, the Chair needs to be standing on Wexton’s and the two yes men Senators desks every single day, demanding they put people before their party leadership ideology. She’d gain a lot more credibility, rather than playing her party’s tune over and over. Otherwise, she’s just another run of the mill politician in it for herself. This grandstanding event by Randall just happens to be at the same time the Loudoun County Republican Committee meets in the boardroom.